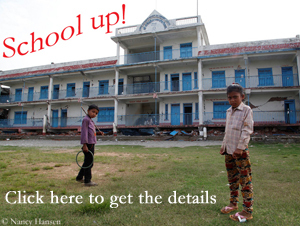 After the expedition to Papua New Guinea, another one followed: the most dangerous expedition in Petra Thaller’s life. In December 2014, the German journalist had climbed the Carstensz Pyramid, with an altitude of 4,884 meters the highest mountain of Oceania, making it one of the “Seven Summits”, the highest peaks on all continents. Shortly after her return Petra realized that her breast was changing. The doctor’s diagnosis: cancer. Six tumors in her right breast. Later, even a seventh developed. Thaller was committed to fight against the disease, the full program: surgery, chemotherapy, antibody therapy. And she continued to do sports. “I was really fit back then,” the 55-year-old from the German town of Munich tells me. “I started super-trained into chemotherapy, and I’ve always been doing sports during all twelve therapy cycles. I continued to run. And I was fine.” Petra wanted to share this experience with other cancer patients. Therefore she founded the initiative “Outdoor against Cancer” (OaC). Impossibly Heidi Sand could have foreseen that Denali would change her life in this way. 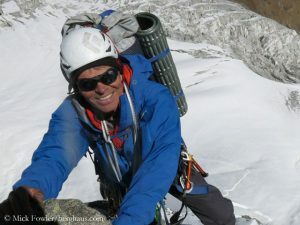 When the German mountaineer and sculptor descended from the summit of the highest mountain of North America (6,190 m) in 2010, the then 43-year-old suddenly had strong stomach pain. Soon after the shattering diagnosis: advanced colorectal cancer. After the emergency surgery, chemotherapy followed. “If I survive, I want to reward myself with an eight-thousander,” Heidi then promised herself – and fulfilled this dream of her life: On 26 May 2012 the mother of three children stood on the summit of Mount Everest. Meanwhile Heidi Sand has passed the critical five-year mark after her cancer diagnosis. She is considered to be cured – and has realized further climbing projects after having summited Everest. In autumn 2013, for example, Heidi scaled Cho Oyu without using bottled oxygen and in spring 2014 she stood on top of Makalu (with breathing mask). 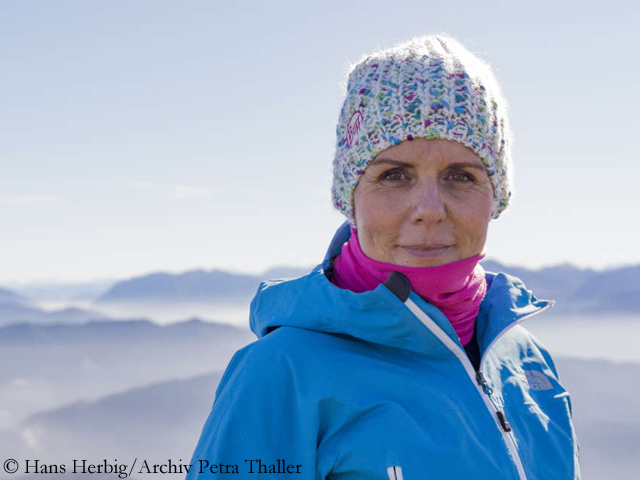 With Billi Bierling, Heidi shares the honor of having been the first German women to reach the summit of Makalu. 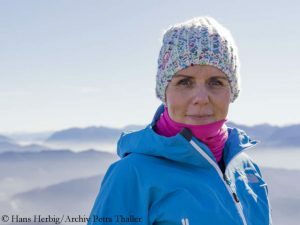 Sand dedicated her three successes on eight-thousanders to her children, for her husband remained the Eiger North Face which she succeeded to climb a year ago, in December 2015. And last November, she tackled, along with the Swiss mountain guide Lorenz Frutiger, the legendary granite giant Fitz Roy in Patagonia – in vain, the weather put a spoke in their wheel. 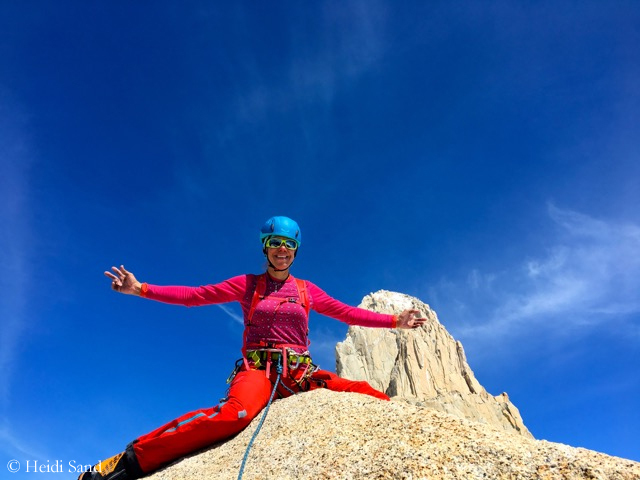 I asked the 50-year-old four questions about her climbing. Heidi, what do you owe to the mountains, especially Mount Everest? K 2 Cho Oyu Expedition Expeditions Mount Everest Amical Alpin Annapurna Ueli Steck Dhaulagiri Pakistan first ascent Mingma Gyalje Sherpa winter expedition Simone Moro Billi Bierling Broad Peak Nanga Parbat Kangchenjunga Luis Stitzinger Tamara Lunger Thulosirubari Lhotse Nepal Tomek Mackiewicz Elisabeth Revol K2 Karakoram Avalanche Nepalhilfe Beilngries Daniele Nardi Thomas Huber Ralf Dujmovits Alex Txikon Shishapangma Makalu Earthquake winter ascent Manaslu Tibet Aid project: School up!